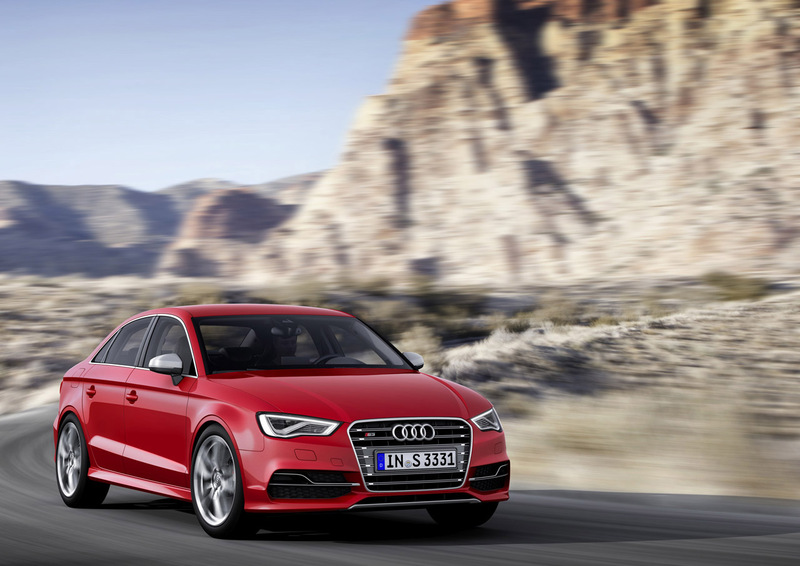 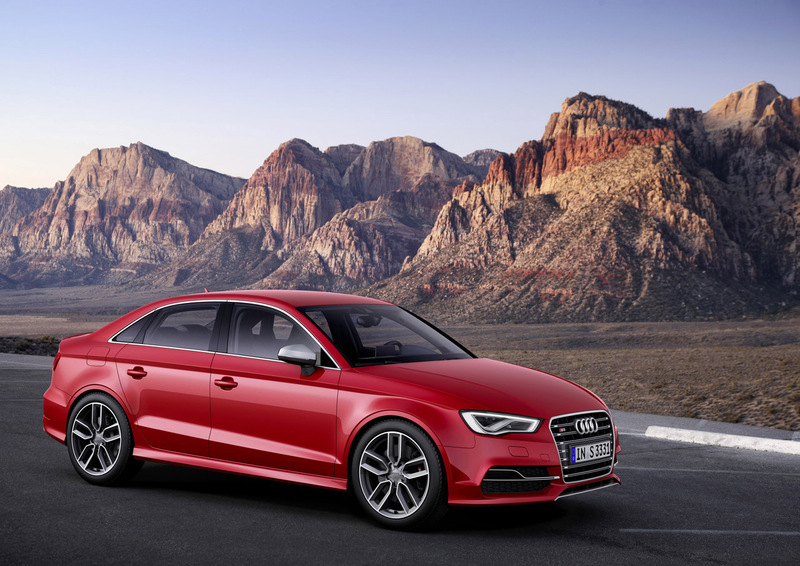 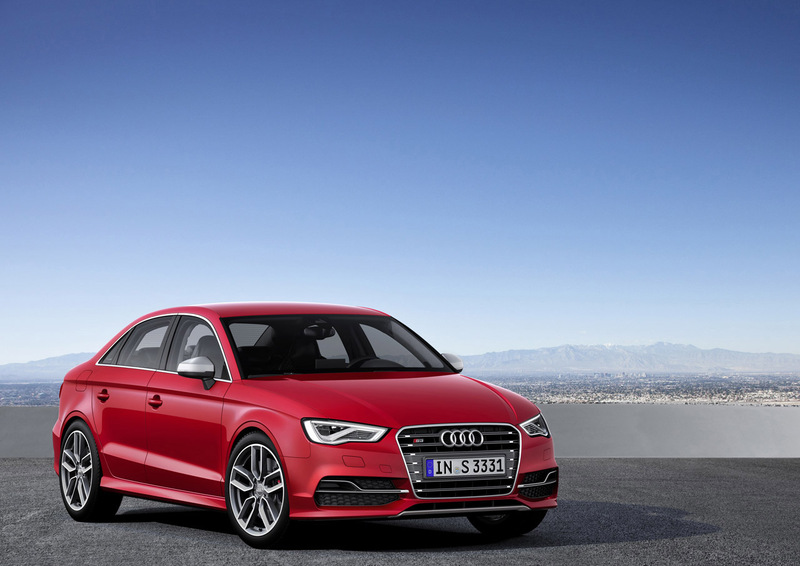 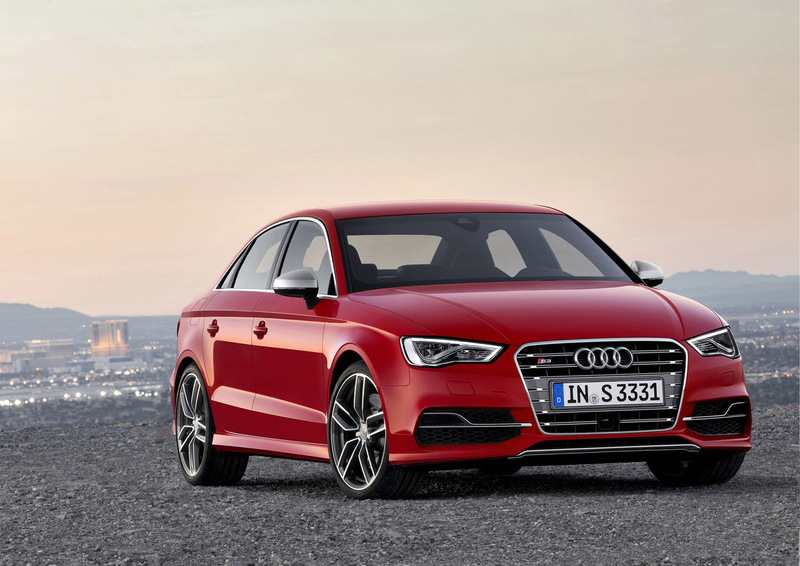 Just a few months after the launch of the new sedan model series, Audi will introduce the top model – the S3 Sedan. 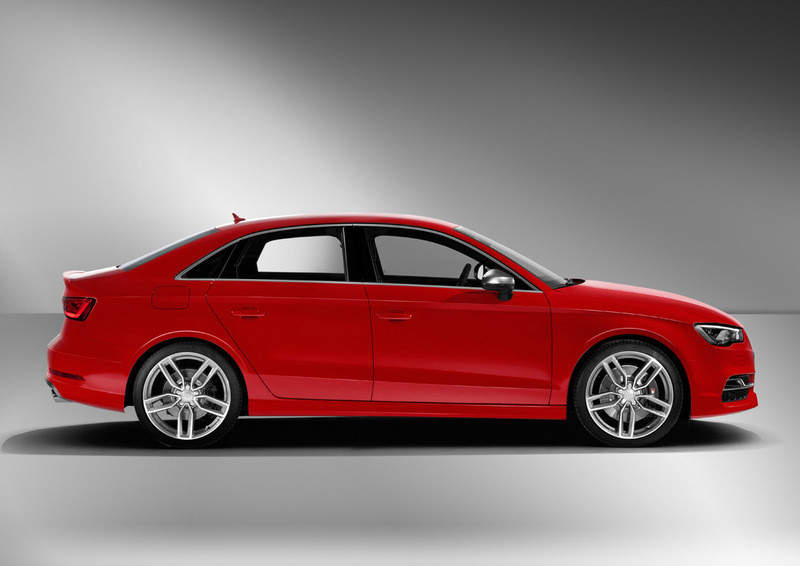 The 2.0 TFSI produces 221 kW (296 hp) and 380 Nm (280.27 lb ft) of torque. 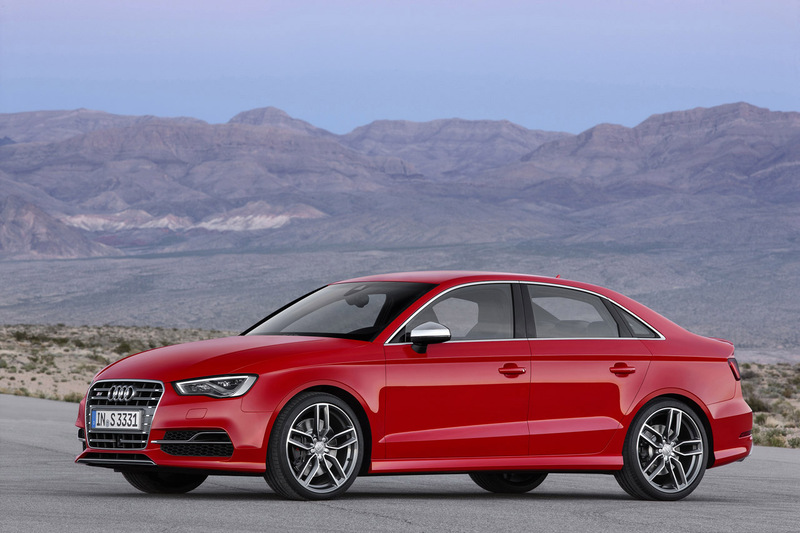 Its high-performance four-cylinder engine combines highly advanced efficiency technologies – dual fuel injection, exhaust manifold integrated in the cylinder head, the Audi valvelift system and a rotary valve module for thermal management. 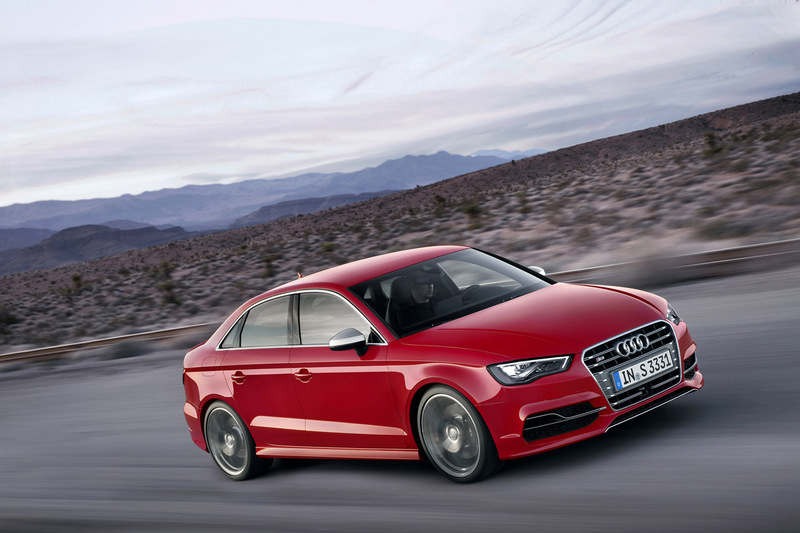 This version of the Audi S3 Sedan, paired with the S tronic, accelerates from 0 to 100 km/h (62.14 mph) in 4.9 seconds; with the manual transmission it takes 5.3 seconds. 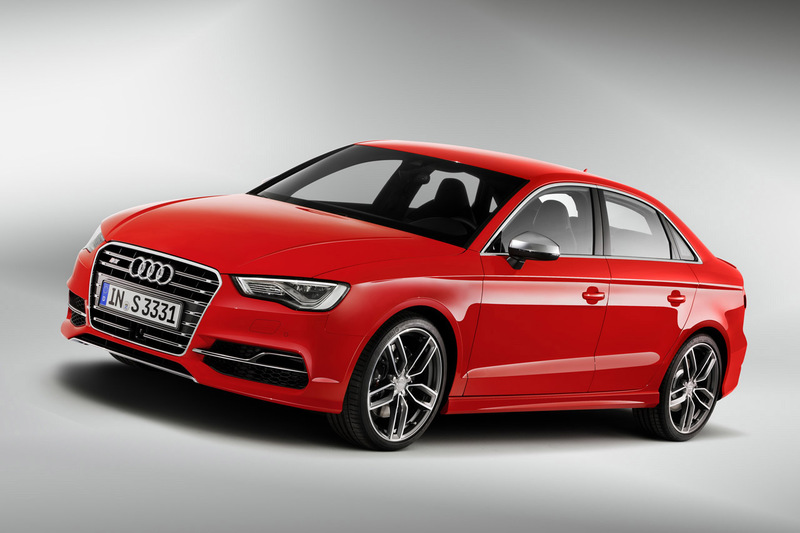 The car's top speed is electronically limited to 250 km/h (155.34 mph). 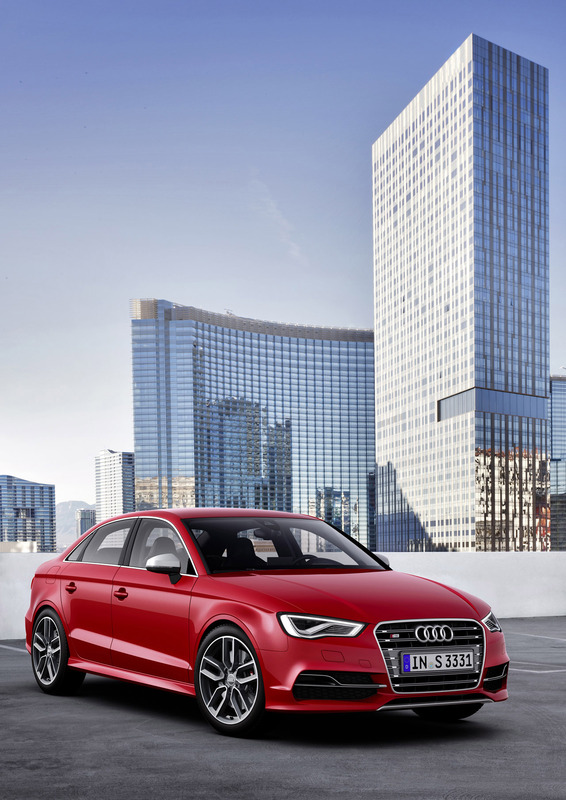 The four-cylinder turbo has a combined fuel consumption of just 6.9 liters per 100 km (34.09 US mpg) or 7.0 liters (33.60 US mpg) (with S tronic or manual transmission), respectively – for a CO2 equivalent of 159 or 162 grams per km (255.89 or 260.71 g/mile). 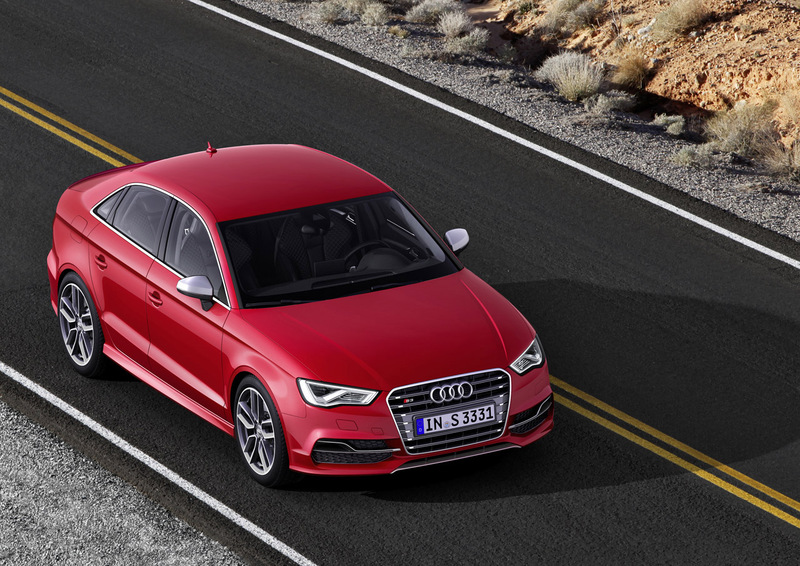 A fast-operating multi-plate clutch in the quattro drivetrain distributes forces to the front and rear axles (provisional data). 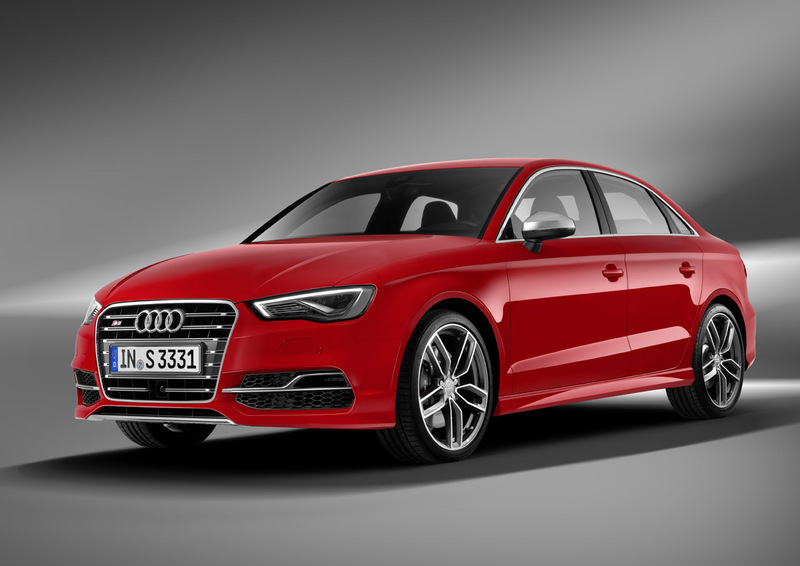 Visually, the top model is distinguished by modifications to the bumpers, the singleframe grille, air intakes, exterior mirror housings, side sills and rear spoiler. 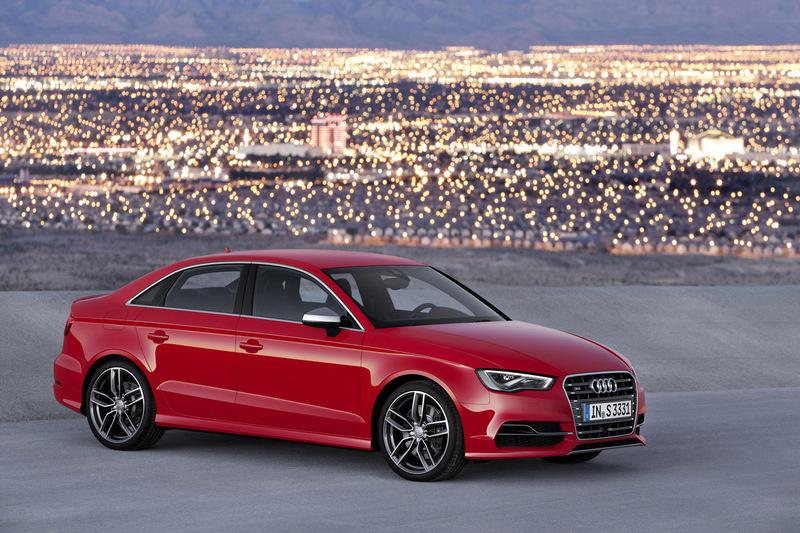 The four oval tailpipes of the exhaust system are embedded in the diffuser with chrome trim. 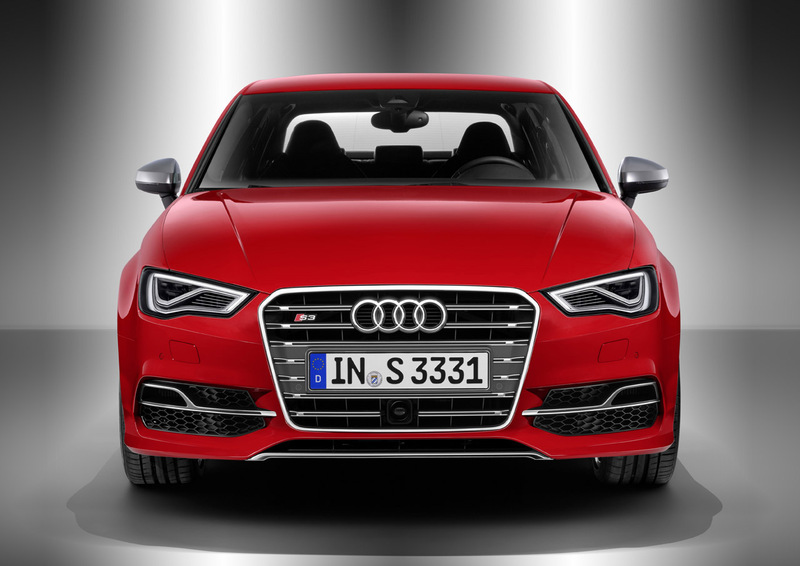 In the interior, the S3 Sedan offers sport seats (optional S sport seats), instruments with gray dials and trim strips in black 3D look.